Responsibilities: Must be able to provide feedback on problem areas that have been caused by developmental changes. Understand the business requirements behind those developmental changes. 	Solid work history designing test cases and test plans for APIs, ETLs, and web based applications. 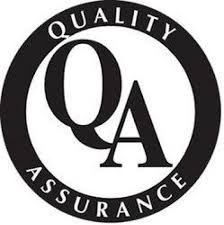 	Design, Development, and Implementing experience of QA and test standards. Selling point of the job: Company is growing extremely fast great opportunity to grow from within. Who is involved in the interview process? CIO, Director of Software Development.